Although smoking cessation is a lifestyle decision, the ability to quit is usually hindered by nicotine chemical dependence. According to the Surgeon General report on smoking in 2000 (163), "Tobacco dependence is in fact best viewed as a chronic disease with remission and relapse. Even though both minimal and intensive interventions increase smoking cessation, most people who quit smoking with the aid of such interventions will eventually relapse." It is estimated that 24.7% of all adults who lived in the United States in 1997 were smokers (164). This is only slightly lower than the 25.5% prevalence in 1994 (165). 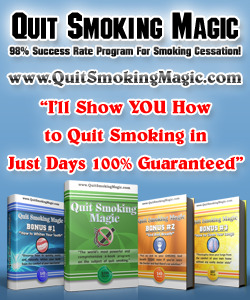 Statistics show that over 70% of smokers express a strong desire to quit and about 20% actually try to stop smoking. However, only 3-5% of smokers who attempt to quit smoking on their own achieve a successful abstinence after 1 year (165, 166). The agency for Health Care Policy and Research (AHCPR) in its Clinical Practice Guidelines on Smoking Cessation released in April 1996 (The U.S. Public Health Service practice guidelines) (167) state that every patient attempting to stop smoking should be treated with pharmacotherapy. Pharmacologicalintervention is often part of a multicomponent therapy that also includes one or more non-pharmacological components, mainly psychosocial therapy (behav ioral therapy). The AHCPR found that smoking cessation interventions by healthcare providers doubled the success rate of smoking cessation (167). When multiple types of providers (e.g., clinicians and psychotherapists) deliver these interventions, the likelihood of cessation increases by a factor of four. The panel also found that nicotine replacement therapy (gum and patches) is efficacious regardless of the use of adjuvant treatment (psychosocial interventions), but its efficacy is increased when used with adjuvant interventions. 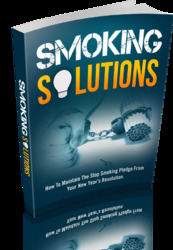 Treating tobacco dependence is one of the most cost-effective preventive measures. It is estimated that smoking cessation is more cost-effective than several common clinical preventive services such as screening for cervical, breast, and colon cancer, treatment of mild-to-moderate high blood pressure, and treatment cf high cholesterol (163).